God always fills His temple. 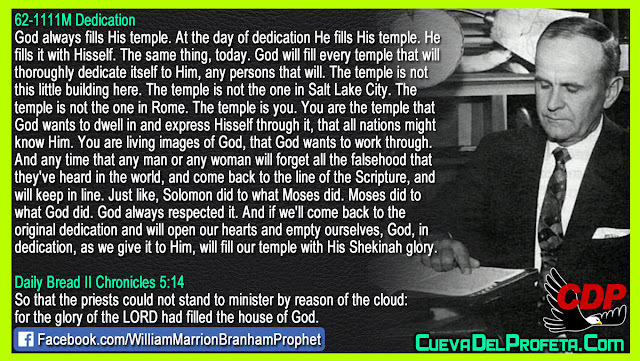 At the day of dedication He fills His temple. He fills it with Hisself. The same thing, today. 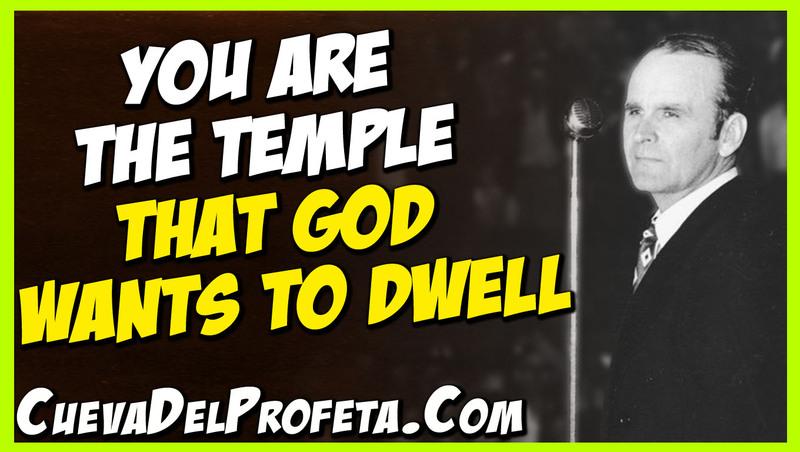 God will fill every temple that will thoroughly dedicate itself to Him, any persons that will. The temple is not this little building here. The temple is not the one in Salt Lake City. The temple is not the one in Rome. The temple is you. You are the temple that God wants to dwell in and express Hisself through it, that all nations might know Him. You are living images of God, that God wants to work through. And any time that any man or any woman will forget all the falsehood that they've heard in the world, and come back to the line of the Scripture, and will keep in line. Just like, Solomon did to what Moses did. Moses did to what God did. God always respected it. And if we'll come back to the original dedication and will open our hearts and empty ourselves, God, in dedication, as we give it to Him, will fill our temple with His Shekinah glory.